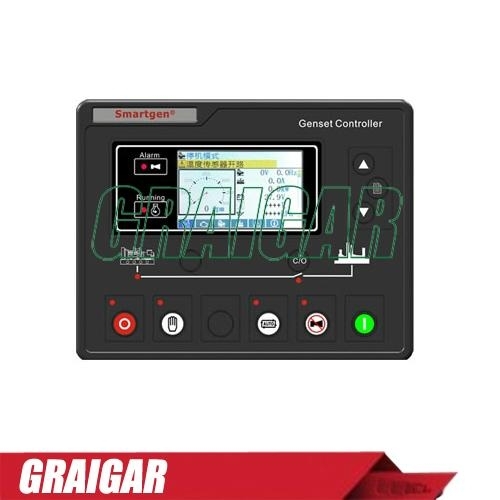 HGM7211/7221 series generator controllers are used for genset automatic and monitor control system of single unit to achieve automatic start/stop , data measurement, alarm protection as well as remote controlling, remote measuring, remote communication function. It fits with TFT display, optional Chinese, English and other languages interface. It is reliable and easy to use. The powerful 32-bit Mroprocessor contained within the module allows for precision parameters measuring, fixed value adjustment, timing and set value adjusting and etc. Majority parameters can be configured from front panel and all parameters can be configured by USB interface （or RS485） to adjust via PC . It can be widely used in all types of generator automatic control system with compact structure, advanced circuits, simple connections and high reliability. HGM7X10, Auto Start Module, controls genset to start or stop automatic by remote start signal. HGM7X20, Auto Main Failure, updates based on HGM7211，especially for automatic system composed by generator and mains. ♦ Collects and shows 3-phase voltage, current, power parameter and frequency of generator/mains. ♦ Modular design, self extinguishing ABS plastic enclosure, pluggable connection terminals and embedded installation way; compact structure with easy mounting.